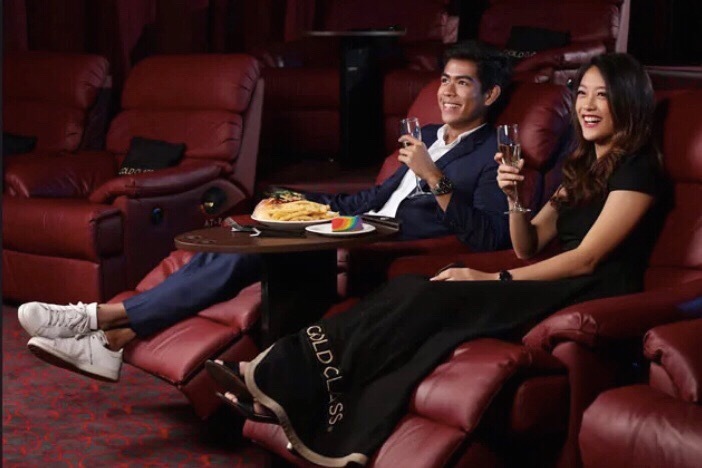 When you’re in need of a totally relaxing evening with some great entertainment to boot, Golden Village Gold Class is the way to go. These exclusive cinemas take the whole movie-going experience and amp it up a few levels. Think plush Nappa leather chairs, gourmet food and wines, and personalised service at the touch of a button. They also have four locations to choose from. You can find us at the one at Great World. It’s pretty awesome to be able to lay out and get comfortable on cushy recliners while watching the latest movies on the big screen with cutting edge surround-sound technology. And we love that you can order food like cheese platters and truffle fries, plus glasses of wine right to your seat. Thinking of the ultimate date night? This is always a good option. Check out their website for any deals they may have going on, because sometimes they have special packages for particular movies or seasons. They also have a concierge service you can use to book tickets over the phone, pre-order meals and arrange transportation to and from the theatre. Standard Gold Class tickets are $39.